OPEC’s agreement to cut oil production offers some hope to the Singapore-based O&M players that there could be an end to the long and dark tunnel. Currently, we expect crude oil prices to average USD60/bbl in 2017, and going forward. This price level should incentivise oil majors and upstream players to kick-start long-delayed exploration and development activities. We keep our OVERWEIGHT rating on the sector, on the back of positive sentiment and the expectation of an earnings recovery in the medium term. The OPEC meeting on 30 Nov, which resulted in an agreement to share the burden of production cuts, offers a glimmer of hope for crude oil prices and – to a certain extent – the offshore and marine (O&M) segment. Starting Jan 2017, OPEC members will take out 1.1mbpd from their Oct 2016 production level of 33.6mbpd. Crude oil price to average USD60/bbl. We maintain our crude oil price forecast average of USD60/bbl for 2017 and the longer term, with the markets looking to be more bullish than what they were prior to OPEC’s new agreement. We believe that the current oil market mechanism is already working. Without its intervention, the highest-cost producers would have to cut production levels in order to clear the markets in a low crude oil price environment. Positive sentiment but delayed effect. The companies under our coverage are involved in the fabrication and construction of vessels for the oil & gas industry, which include rigs, floaters, platforms as well as specialised vessels. These vessels mostly operate in the exploration and development part of the oil & gas value chain. As such, demand for newbuilds is underpinned by higher exploration and development activities. The rise in crude oil prices could mean that exploration and development activities that were delayed previously could be on track again. However, there may be a lag before tender books translate to orders and earnings start to trickle in again. We estimate that this could occur 1-2 years post oil price stabilisation. An early indicator would be oil majors and upstream players increasing capex for upstream projects. Keppel is our Top Pick. Keppel is still our top sector pick, as its industrial and utilities segment provides recurring income to its bottomline, cushioning the impact of a lower orderbook (a situation currently affecting its O&M segment. 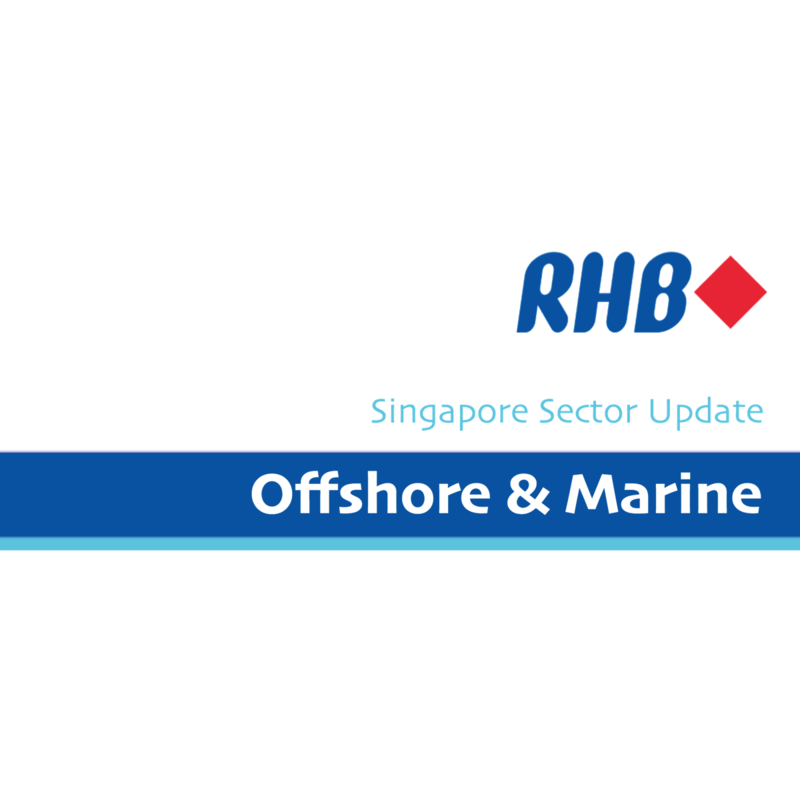 If there is a short-term rally in crude oil prices, we expect Sembcorp Marine’s share price to follow in tandem. However, we still expect earnings for the pure O&M player to continue to be weak in the short to mid term. Still OVERWEIGHT on the sector. Earnings for the sector remain depressed in the near term. However, we believe the positive sentiment generated by the higher oil prices would translate into better earnings in the medium term, as we expect long-delayed exploration and development projects to commence again.